Fully modulating&apos; gas fired&apos; tankless water heater with sealed combustion and power vented flue. 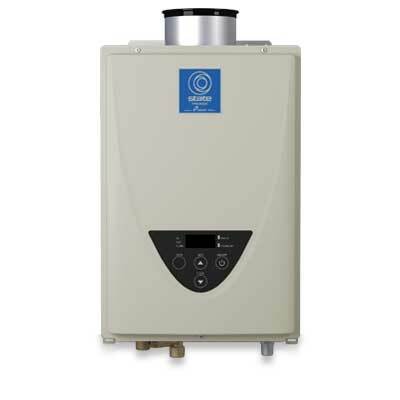 Supplies hot water to domestic hot water systems (directly or indirectly) and can be used with water storage tanks&apos; recirculation systems&apos; and/or combined domestic and heating applications. Concentric Vent Direct vent APNC35 concentric vent system&apos; Vertical or horizontal vent termination installation&apos; Power direct vent.